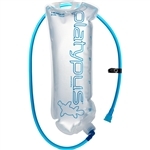 Proper hydration is one of the most important things hikers need to keep tabs on as they walk. No matter the weather, warm or cold, wet or dry, dehydration is a threat that can lead to a very bad situation. Finding the proper hydration products and techniques to help keep you hydrated is important. 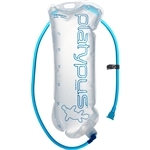 Choosing products that allow the easiest access to water for you, whether that is a water bottle in a pocket on your pack or a water reservoir with a drinking hose attached, is a way to make sure you consume enough water while on hiking. 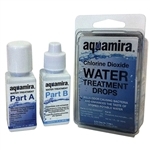 Selecting a filtration method or treatment method that works well for your to ensure your water is clean and safe is just as critical. If you hate to wait, choose a water filter that gets the job done fast. If you don't want to work for your water, choose a water treatment tablet or liquid drop that will do the work for you. Regardless, this subject is highly subjective and there are many ways a hiker can choose to take. Pick the best on for you!